Just the Beginning Top - Stori Anne Co.
100% Polyester. 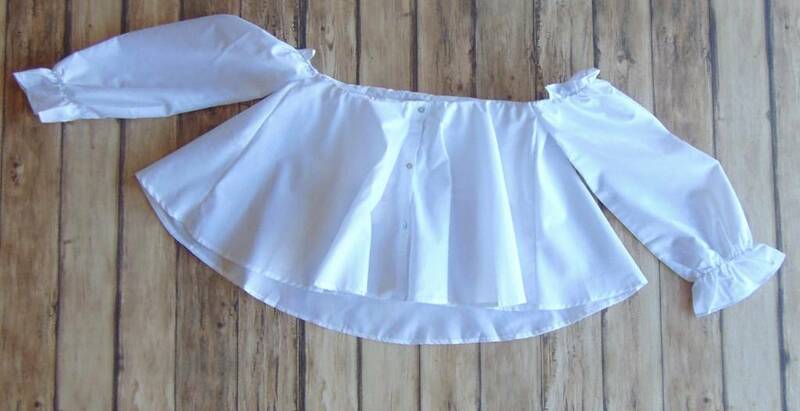 Crisp white crop blouse with off the shoulder sleeves and ruffled edge and cuff. Pair this gorgeous top with any of your Spring and Summer bottoms for a fresh look.